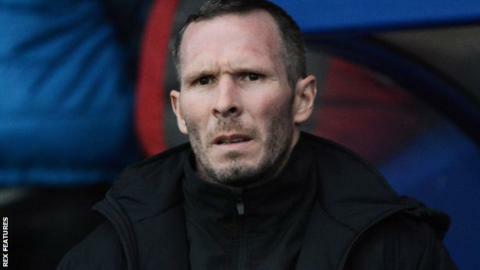 Michael Appleton has said every member of his Oxford United squad have crucial roles to play over Christmas. The U's head coach admitted several players have been unlucky not to be named in recent matchday squads but said they must be ready if called upon. Oxford's festive programme begins with Saturday's trip to Wycombe. "It's an important period where you have to have a quick scan of how you're doing and keep your game head on," Appleton told BBC Radio Oxford. Appleton admitted that midfielder Danny Rose has been among those unfortunate to miss out on selection in recent weeks. "I'm sure between now and the end of the season, Danny is going to play a vital role for us, whether that's coming off the bench or starting games," he added. After the short trip to Adams Park, the U's host Exeter on Boxing Day before travelling to Yeovil on 28 December. "Once the Yeovil game is done, there's a little bit of a breather before the next game to assess where we are," Appleton said. "Before that, there's three very, very important games that everyone's looking forward to."